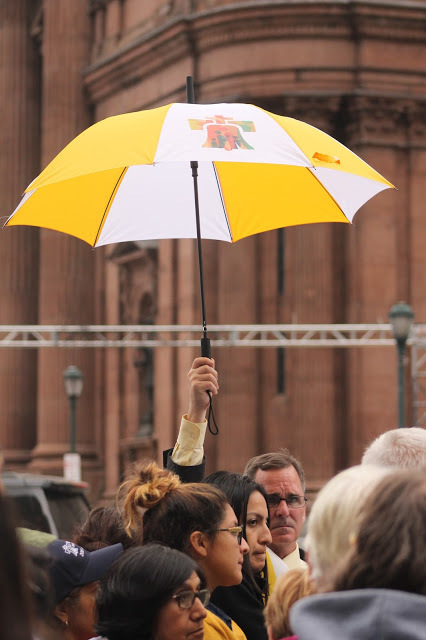 Since we only live a few hours away, we decided at the last minute to attend the Papal Mass in Philadelphia. Making an appearance with our kids to this event—no matter how historic--made no sense. We did not have tickets. We have six children, one of whom is a toddler capable of shattering glass with his high-pitched screams. 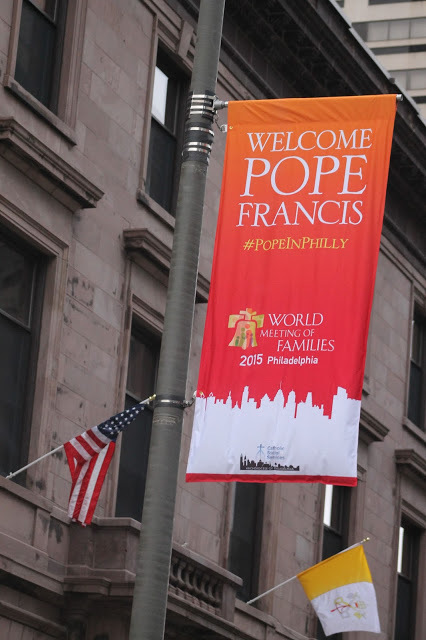 Two million people were expected in Philadelphia so the likelihood of even catching a glimpse of the pope was slim. Bathrooms and food vendors would be at a premium and the lack of facilities and nourishment would be both daunting and challenging with small children in tow. The highways were shut down on Friday, making driving into they city almost impossible. And we knew that even if we made it into the City of Brotherly Love, we would have to stand around waiting for Mass to begin, rubbing elbows with complete strangers while the kids whined with boredom. The entire experience didn’t seem appealing. But I was dead set on going. I did not desire to attend the Mass because I’m heroic or because I’m some awesome Catholic. Read the rest at Integrated Catholic Life.